Las Vegas honors 2015 Martin Luther King Jr. Day with its 33rd annual parade that attracted thousands visitors and locals lining up Fourth Street downtown to watch more than 100 floats, bands, dancers, politicians, classic cars, motorcycles and people from various organizations marching in honor of Dr. King. The theme of this year's parade was "Living the Dream: Where do we go from here?" It highlights the reflection and debate resulted from the racial tensions exposed after multiple police killings of black men last year. It is also a reminder that the struggle for equality is continuing and there are a lot to be done ahead. 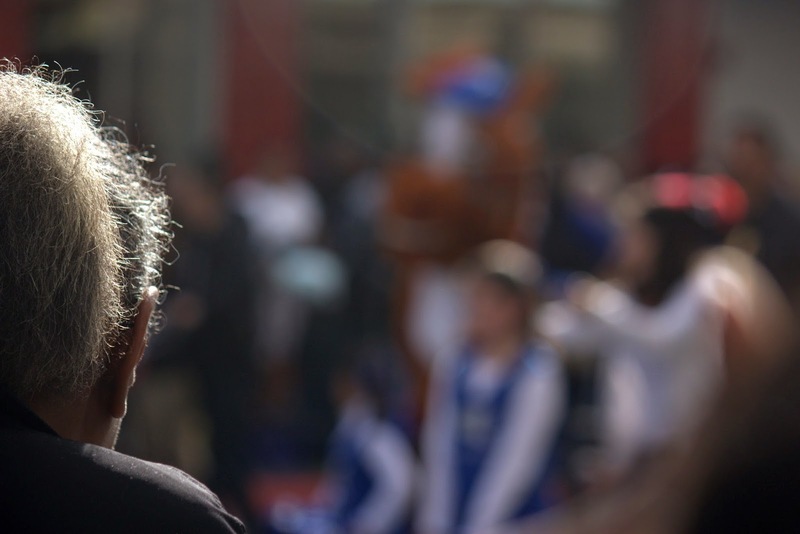 An elderly spectator watches younger marchers streaming by at the 33rd annual Martin Luther King Jr. Day parade in downtown Las Vegas on January 19, 2015. 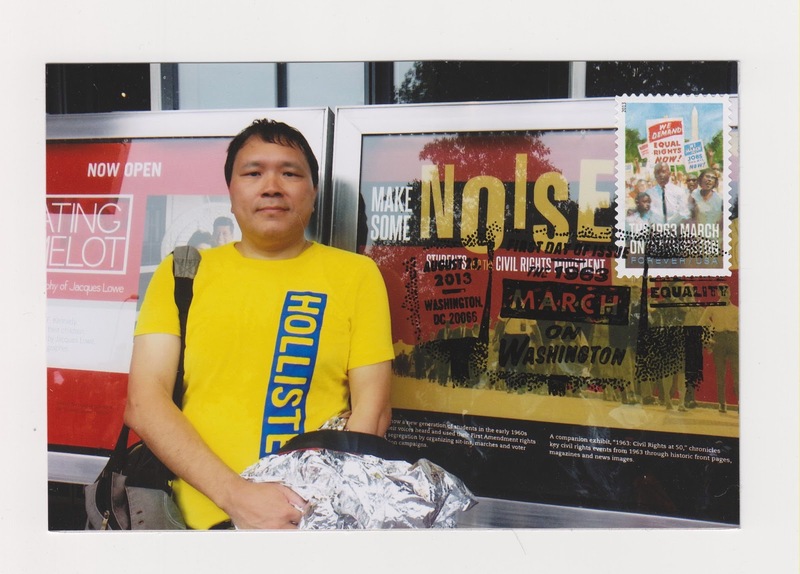 The featured postcard was a maxi card featuring a self-portrait of me in front of the Newseum in Washington D.C. on August 28, 2013 with a USPS March on Washington Forever Stamp and its first-day-of-issue postmark. Labels: #MakeSomeNoise, annual, downtown, first-day-of-issue cancellation, forever, Las Vegas, March on Washington, Martin Luther King, maxi card, Newseum, parade, stamp, USPS, Washington D.C.